Heliskiing Zermatt is the largest heliskiing access in the Alps, Europe. The Matterhorn village is one of the best ski resorts not only in Europe but in the whole world. Heliskiing Zermatt is situated in southern Switzerland and is renowned for its peaks and ski locations. Zermatt was the best ski resort in the Alps in 2014 and awarded by Germany’s major winter sport online website. You will fall in love with the Matterhorn ski paradise that has abundance of skiing area and ski pistes of high quality. Thanks to the ski region on glacier sheets, snow sports fans can enjoy throughout the year. Heliskiing Zermatt offers exceptionally spacious territory for freeride that seems to never end. It has also easy landing places on the mountain. 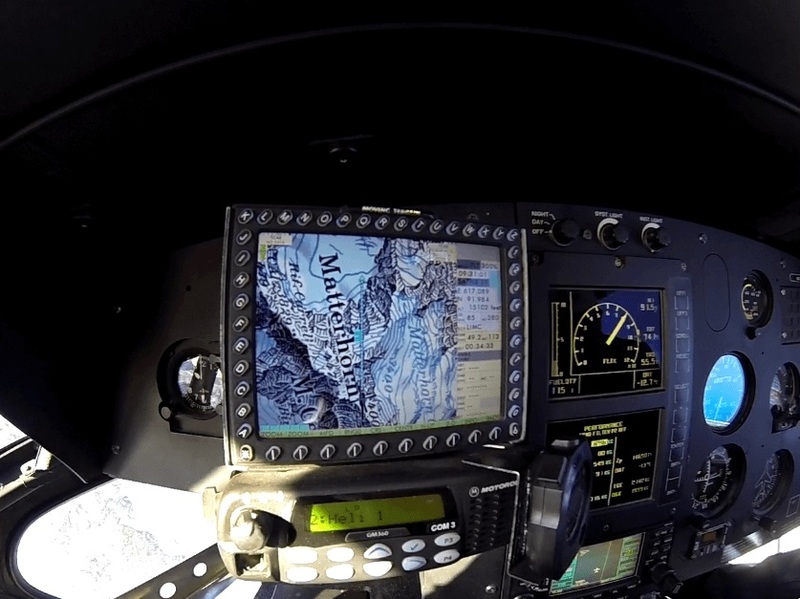 Heliskiing can be organized into wild freeride or on usual slopes. This ski resort is an exceptional winter destination with a vast 360 km of pistes for unlimited fun on snow. Moreover, gorgeous landscapes act like a magnet for visitors and we can guarantee that you will fall in love with the beauty of this place. Zermatt ski resort is the best heliskiing spot in Europe which spreads its arms to welcome people of all ages from countries all over the world. No matter what if you are a beginner, intermediate, or a pro, we will take care of every skier and snowboarder to assist in heliskiing. We take the safety of our guest as a prime concern, so that they can experience the unmatchable advantage of skiing in the Alps. Our exclusive heliskiing packages are available for both individuals and groups, maximum up to 12 members. In addition, the group will be a private group so that each and every individual will get a personal attention in order to perform skiing in the vast pistes, sheer magnitude of the slopes with different difficulty levels for skiers and snowboarders. Landing on the Alphubeljoch or Monte Rosa might give you the most thrilling adventure of your life. 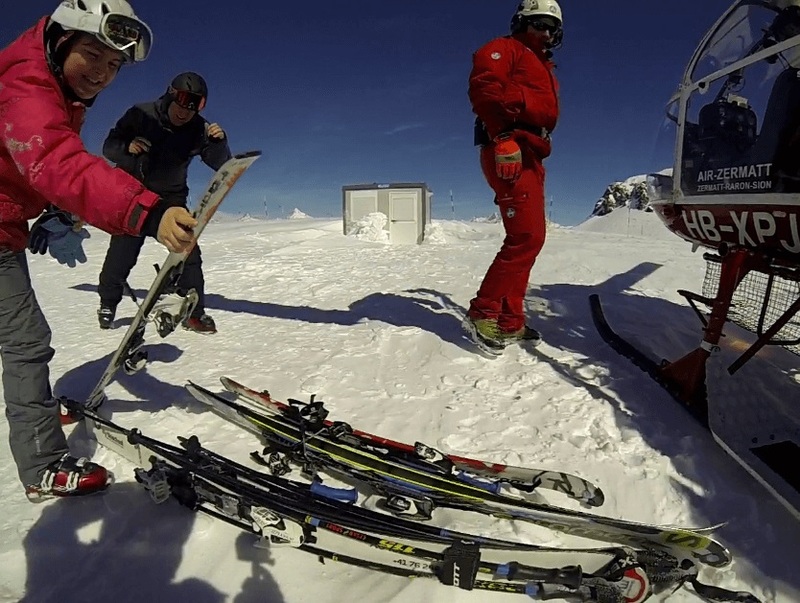 Landing on the Testa Grigia (Plateau Rosa) can be your first step and experience with heliskiing, so check out our package of family heliskiing in Zermatt – combination of heli sightseeing and skiing on usual blue/red pistes, even for non-skiers possible. 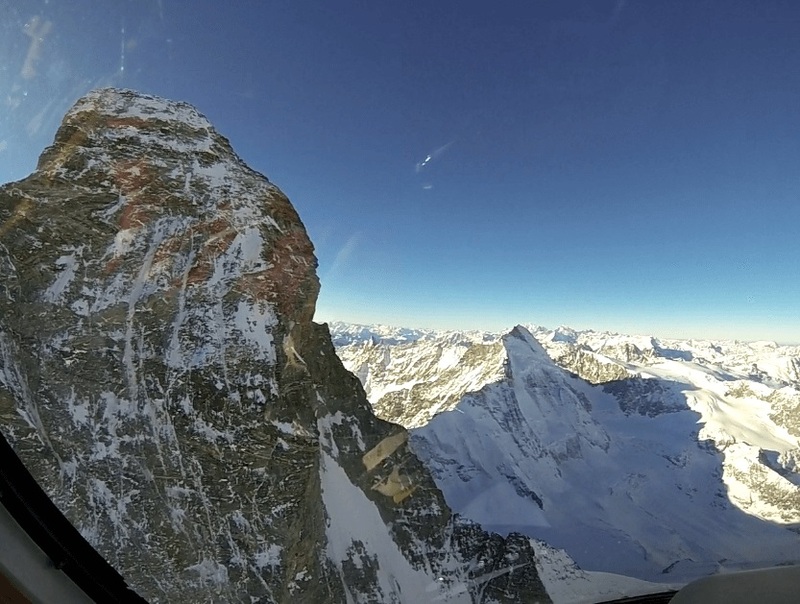 Helicopters are provided by Air Zermatt, a company having long experience in providing successful heliskiing services in Zermatt, check out Air Zermatt heliskiing prices here. There is no better way to experience the real thrill of the area, except for heliskiing. 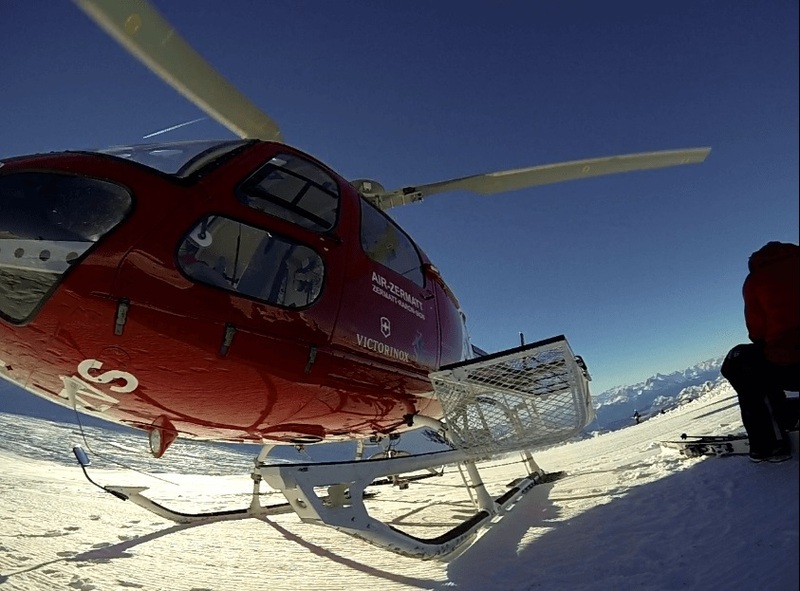 Helicopter company Air Zermatt provides transport and salvage administrations in the Zermatt-Matterhorn destination. The company has its own private helicopters that are ultra modern and reliable. It offers different kinds of adventure in the Alps, such as sightseeing flights around the Matterhorn or airport transfers to Zurich, Geneva and more. Contact us so that we can book your tickets from Air Zermatt or if you plan some event management Zermatt. Spend your week in beautiful Zermatt with our extensive services and get an unforgettable experience so that later you can share your holiday video with your friends and loved once.